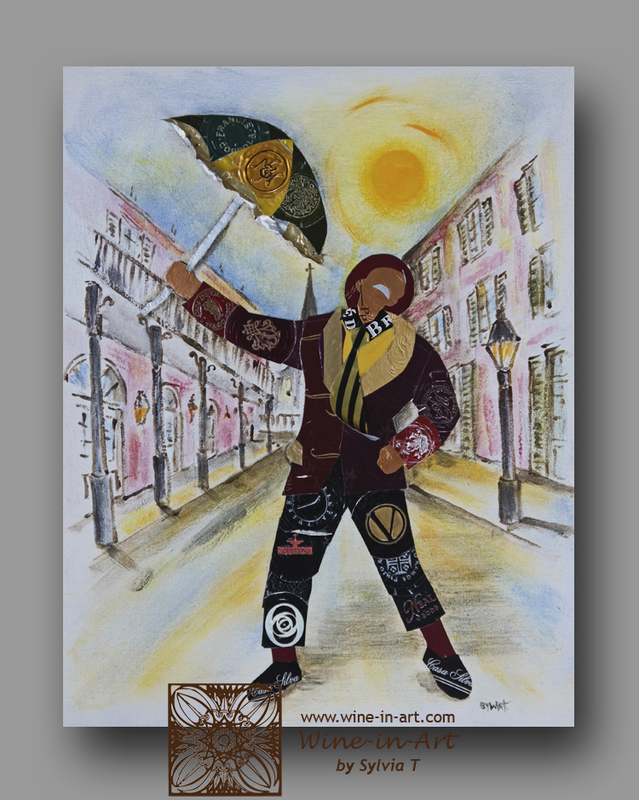 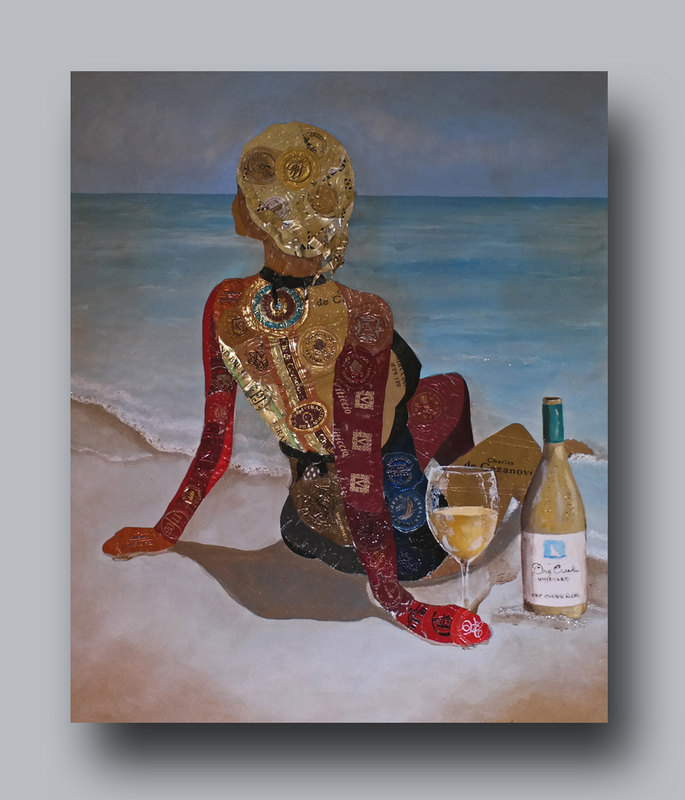 Sylvia Thompson-Dias, owner/artist of Sylvia T Designs, is an accomplished gallery artist whose works have been seen in galleries and shows in the San Francisco Bay Area, the wine country of California, and in New Orleans. 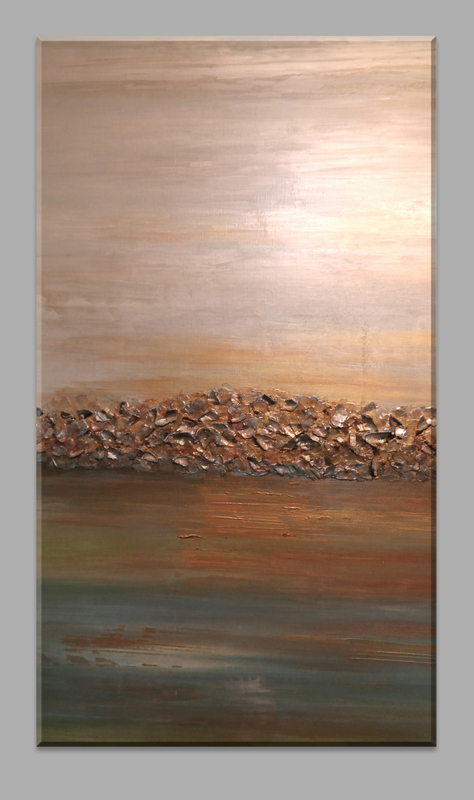 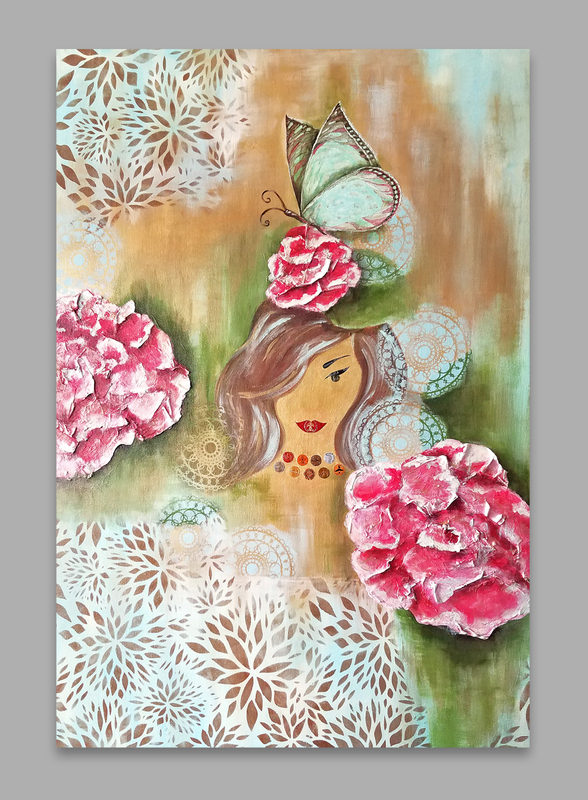 We specialize in mixed-media, custom designs, and branded design paintings. 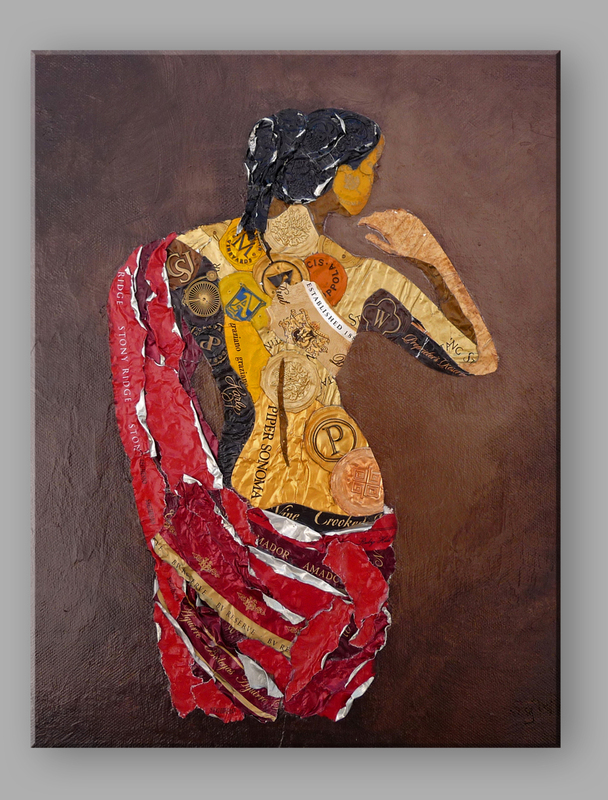 We can produce commissioned pieces based on your vision or needs. 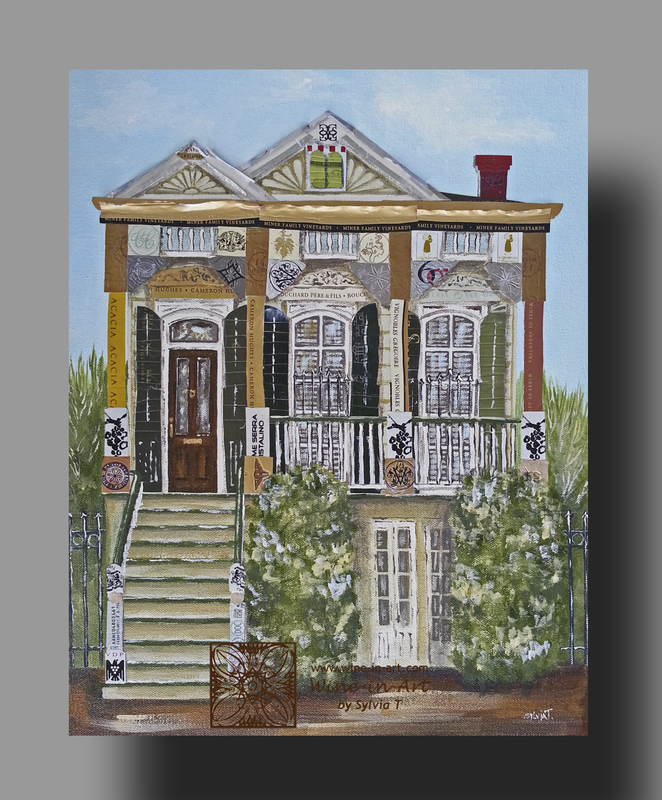 Our custom paintings can add the right finishing touch to any space or fill a central role in your décor. 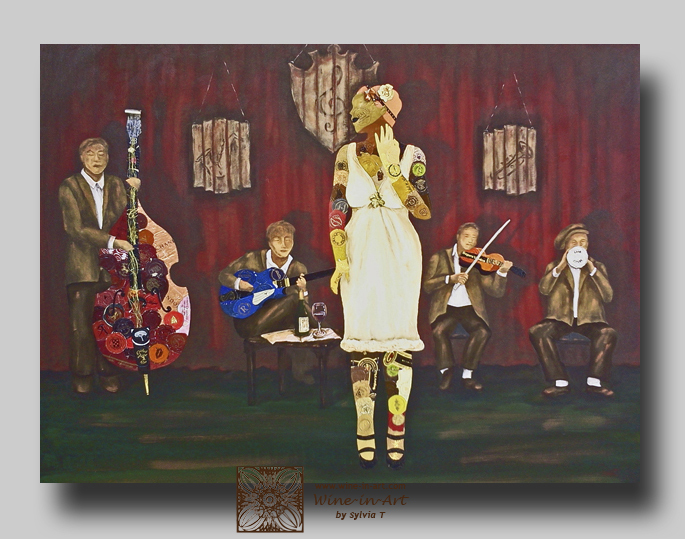 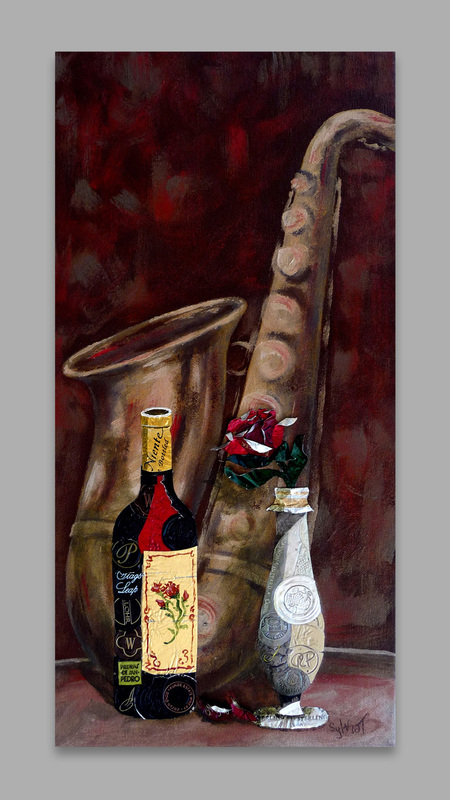 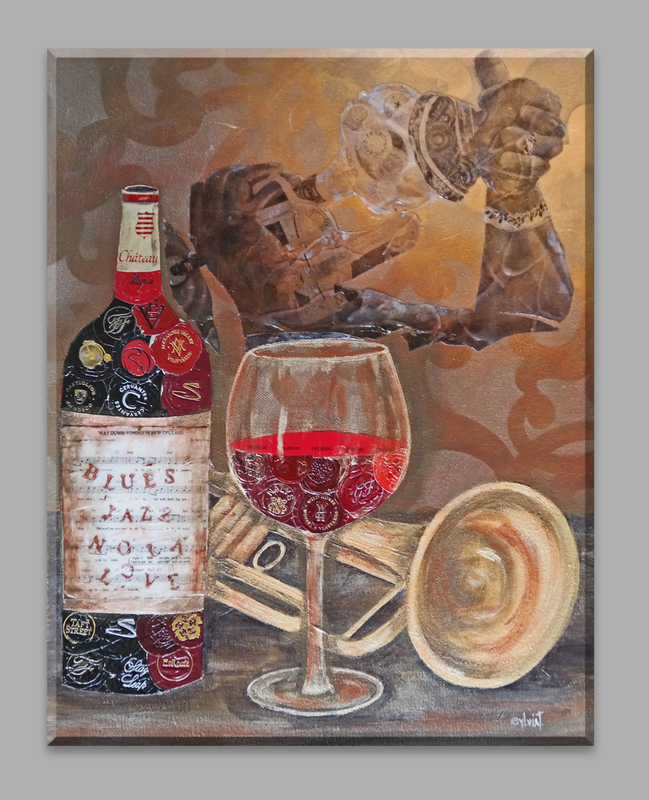 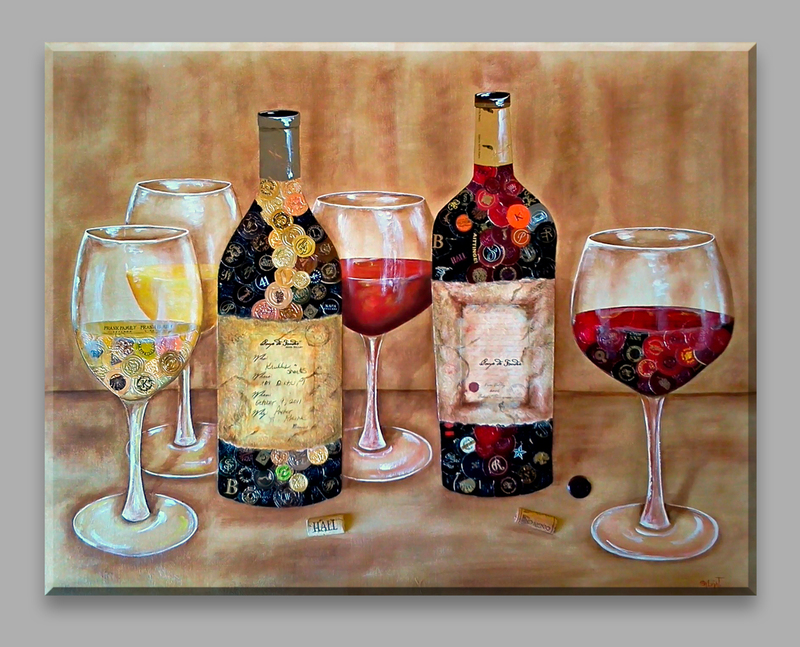 A popular series of paintings is our “Wine-in-Art” line. 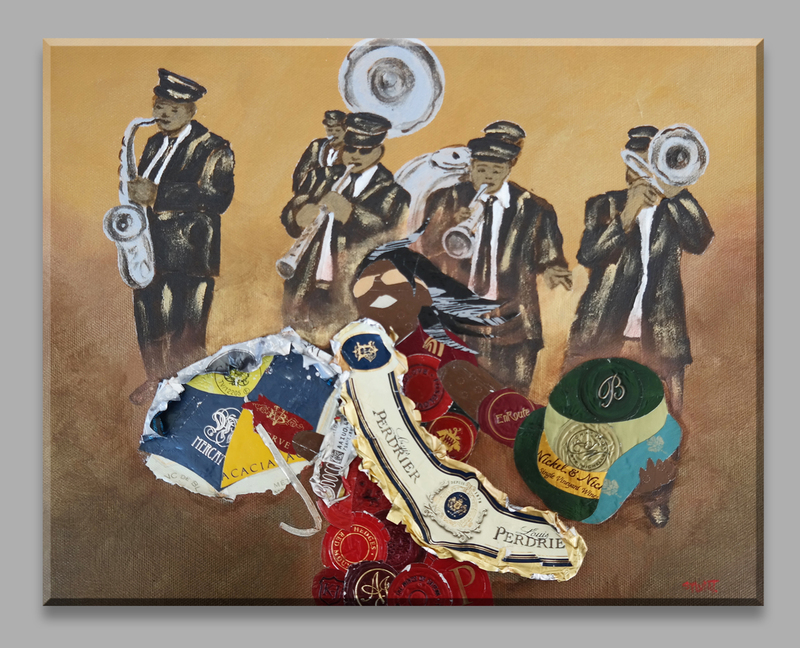 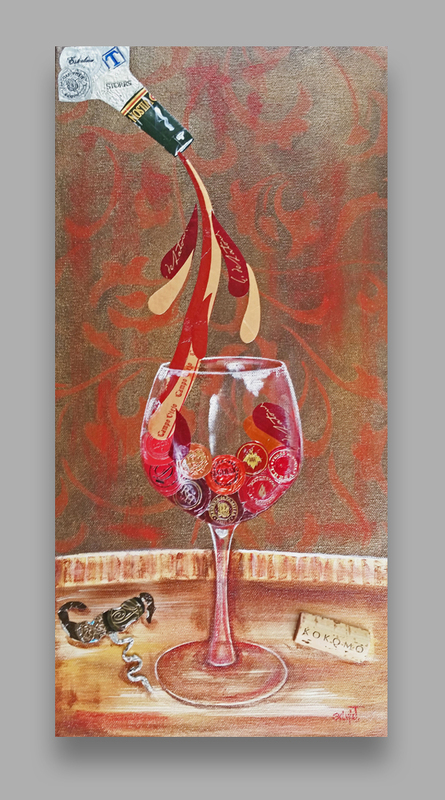 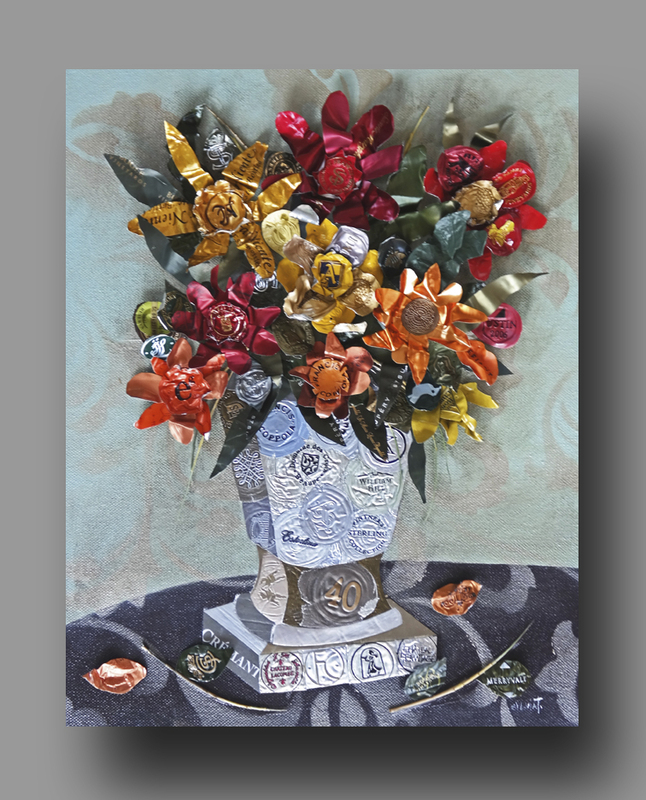 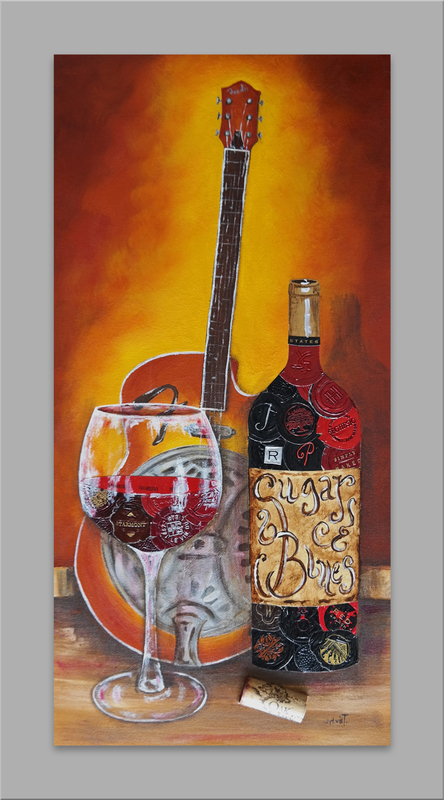 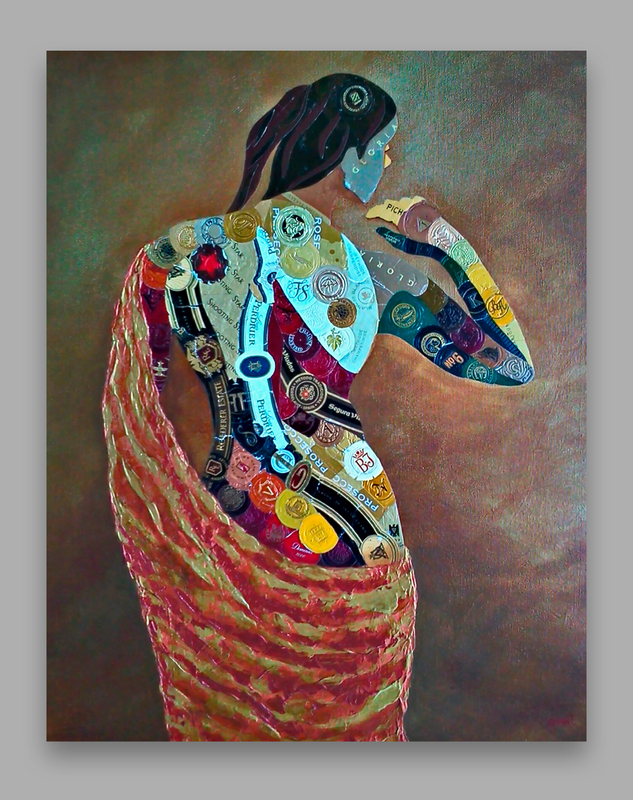 These unique mixed-media acrylic paintings bring in various elements, including the use of wine foils (capsules), to create distinctive and eye-catching imagery. 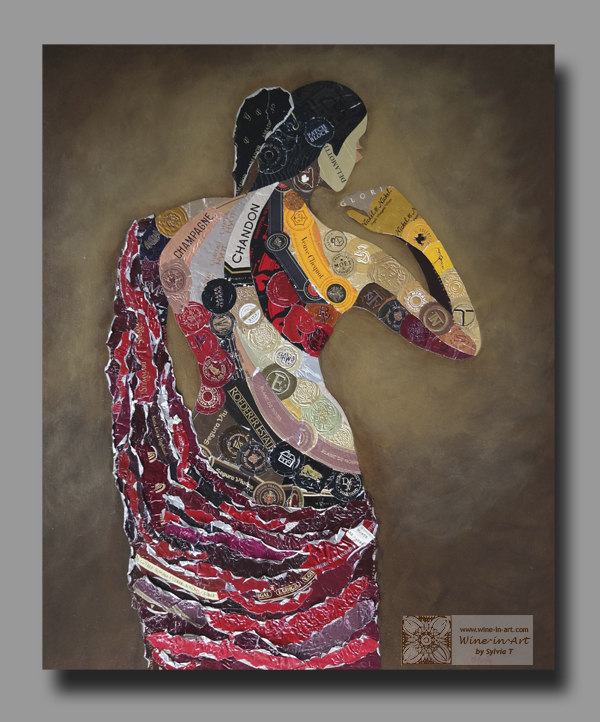 See examples of our work in the gallery here and also visit our website for Wine-in-Art to see more of those pieces. 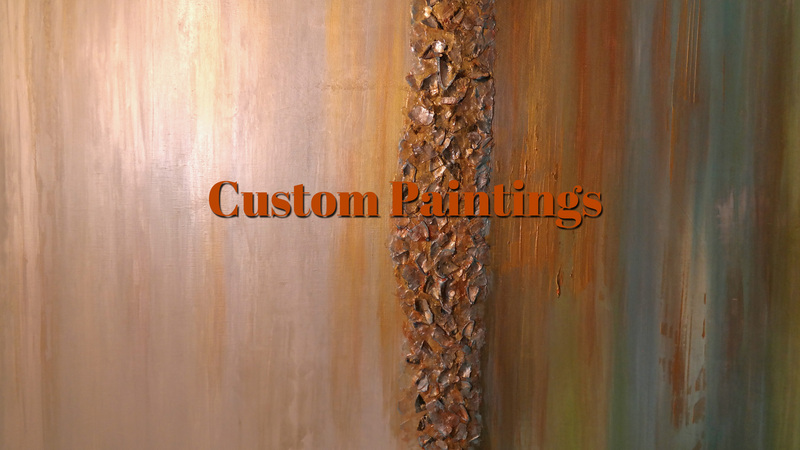 Contact us for more information and for custom painting inquiries!